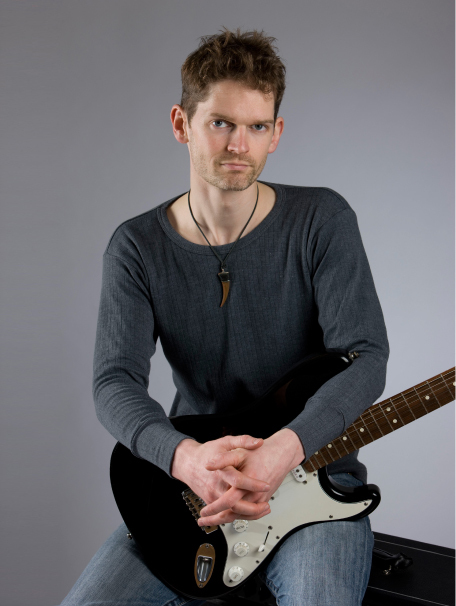 Stuart Bahn teaches guitar lessons in Ealing, near Acton. He has been a professional guitarist and guitar teacher since 2000 and covers a wide range of styles for electric, acoustic and classical guitar. He provides extensive lesson material covering technique, theory, repertoire, soloing and more. Stuart teaches all levels of ability. 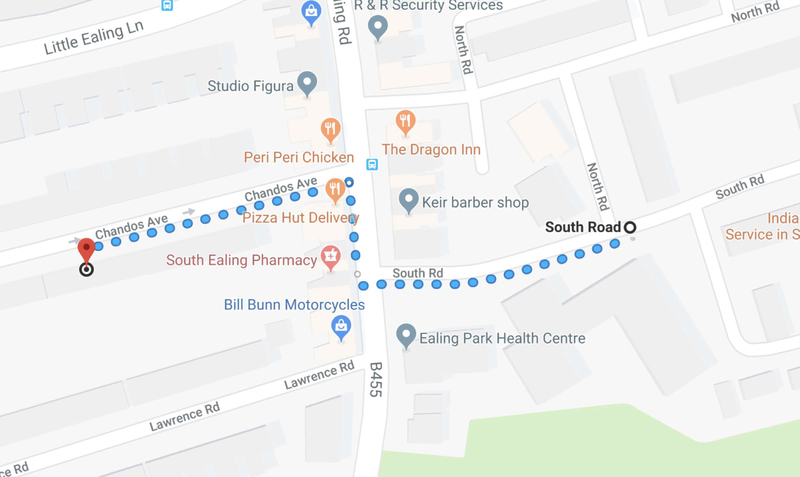 It’s just a short drive or bus journey from Acton to your guitar lessons with Stuart, at Chandos Avenue, Ealing. Below are straight-forward directions and frequent bus and train routes. 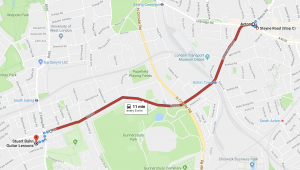 The most direct route from Acton to your guitar lesson with Stuart is by taking Gunnersbury Lane, across the North Circular and then Popes Lane until you cross South Ealing Road. Chandos Avenue is then the first street on the left. If you use Google Maps or SatNav to get to your guitar lesson, use the postcode W5 4EP. Though there are usually parking spaces on Chandos Avenue, it’s best to arrive a few minutes early for your guitar lesson. Parking is unrestricted and free except for between 3-4pm on weekdays. 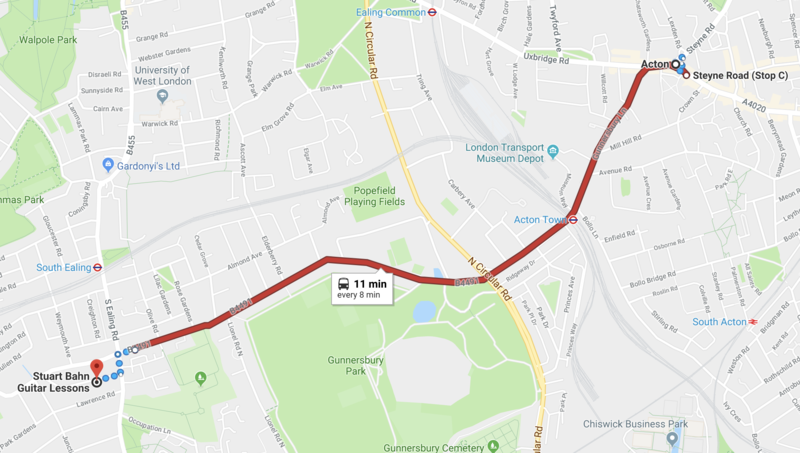 During this time, if you drive to your guitar lesson from Acton, you can park on South Road from which it is just a short walk back to Chandos Avenue. 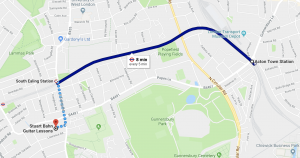 You can catch get the E3 bus from Acton High Street near Steyne Road (Stop C). 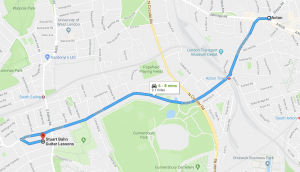 From here the E3 goes up Gunnersbury Lane, passed Acton Town Station, and up Popes Lane. 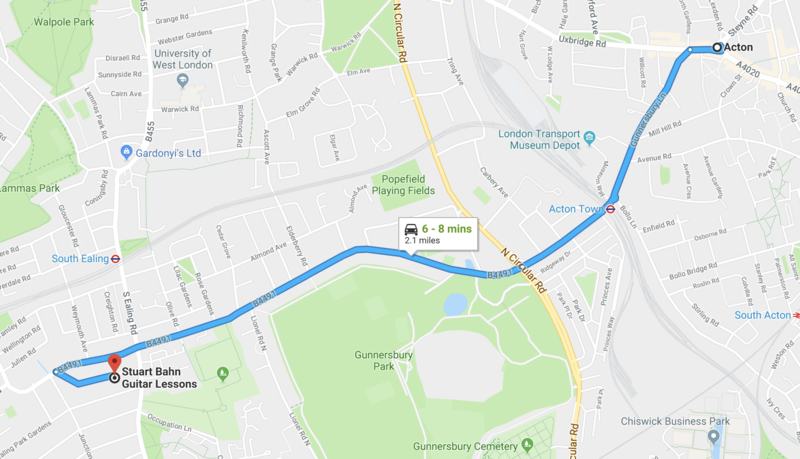 You should get off on Popes Lane (Stop U), and it’s a one-minute walk to Chandos Avenue. 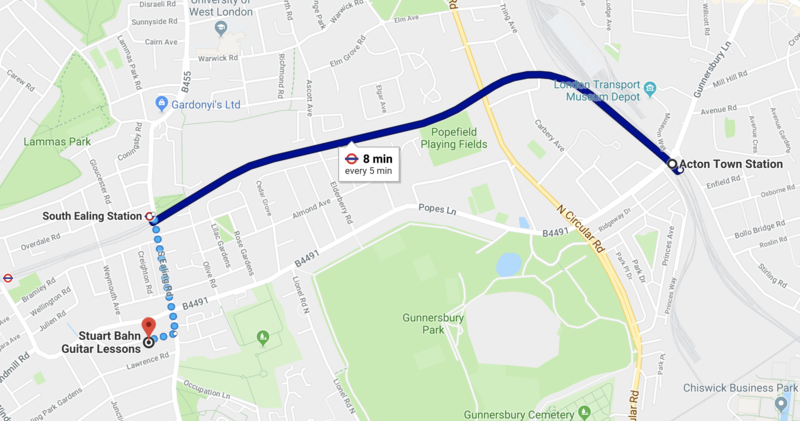 To get to your guitar lesson from Acton by tube, take the Piccadilly Line from Acton Town tube station. Head west on the Heathrow Branch, one stop to South Ealing tube station. 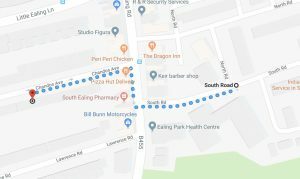 From here it’s a five-minute walk from South Ealing tube station to Chandos Avenue.